Chatbot surveys for Facebook Workplace. Choose from over 12 question types that respondents can answer within Facebook Workplace. 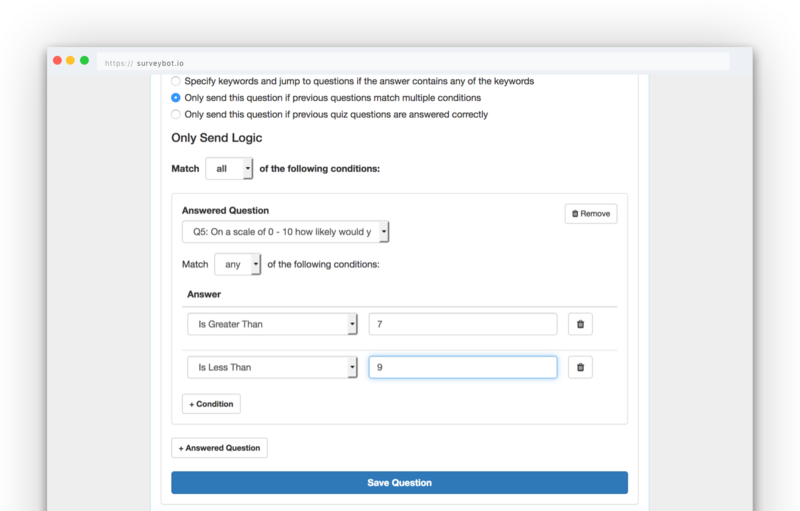 Check out all question types. 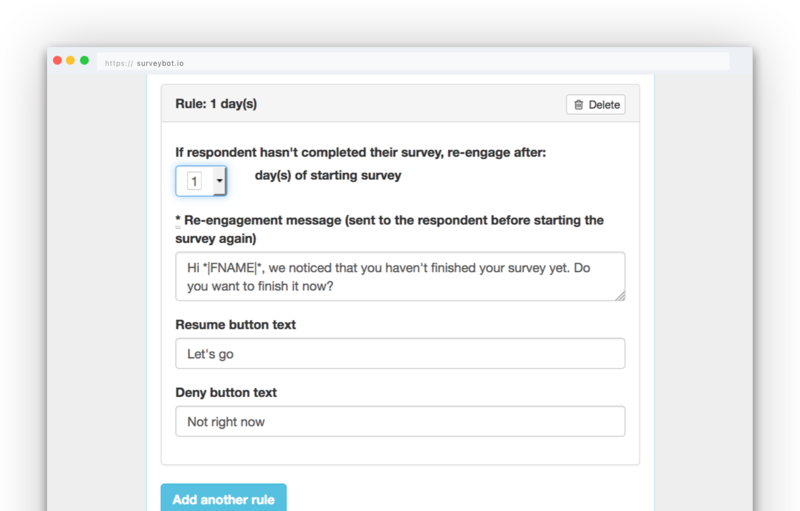 Set the name and appearance of your survey bot to ensure you're recognizable to employees. 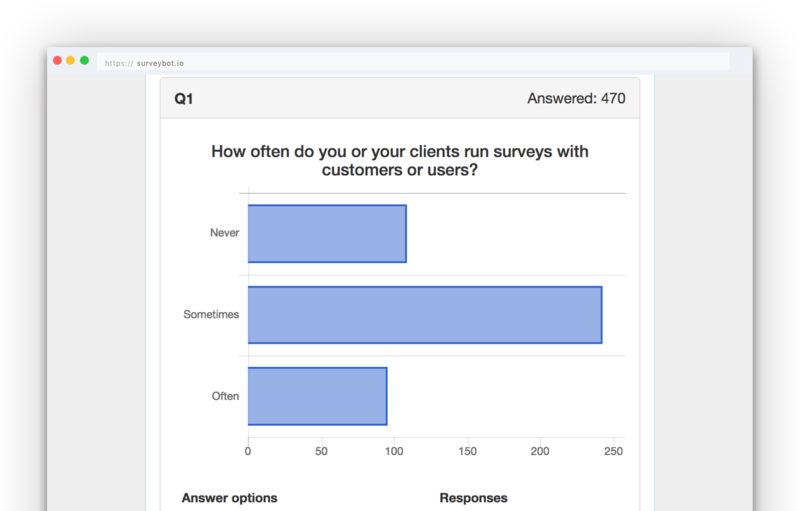 Set your surveys to be anonymous so you can't see who your responses are from. 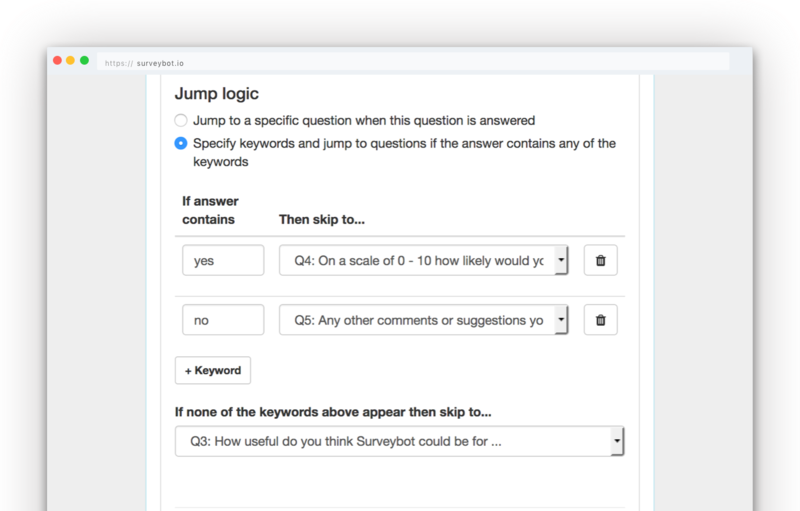 Start your survey automatically when someone opens a conversation with your survey bot. Qualify employees in real time based on their total score. Each survey has it's own unique link to start in Facebook Workplace, a short link also included. 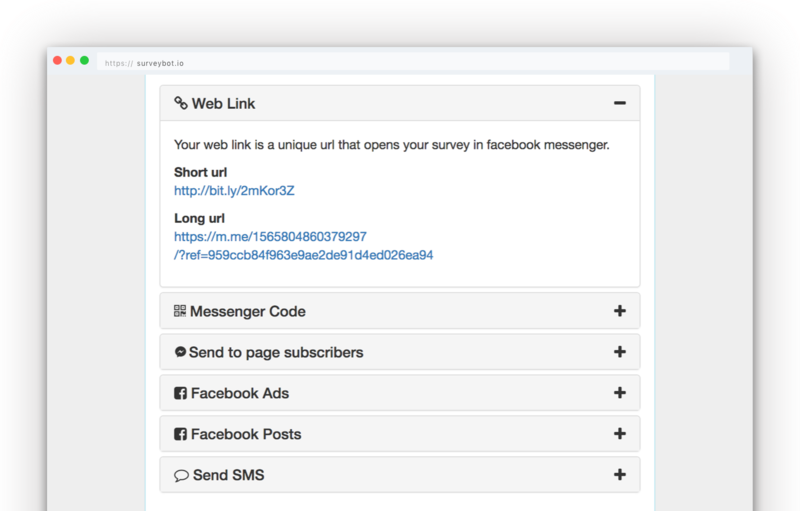 Send your surveys directly to your employees over Facebook Workplace. Link question answers to Panel employee attributes e.g. email address. 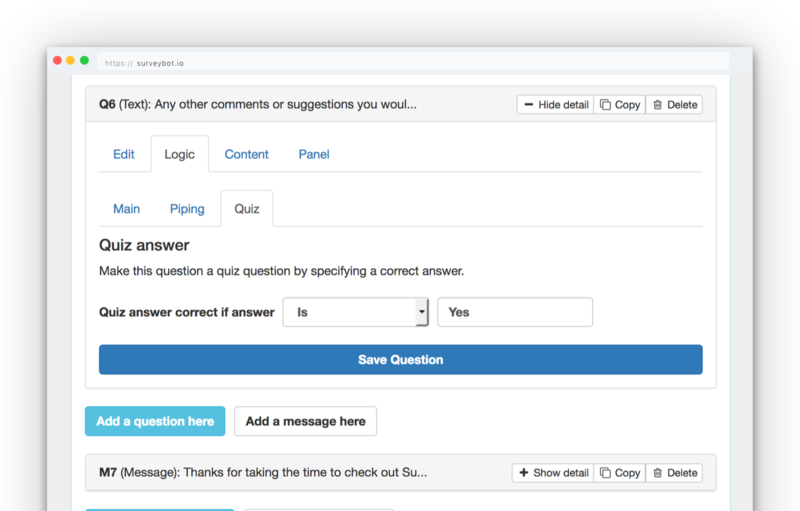 Automatically skip Panel questions if the employee already has the information in their profile. 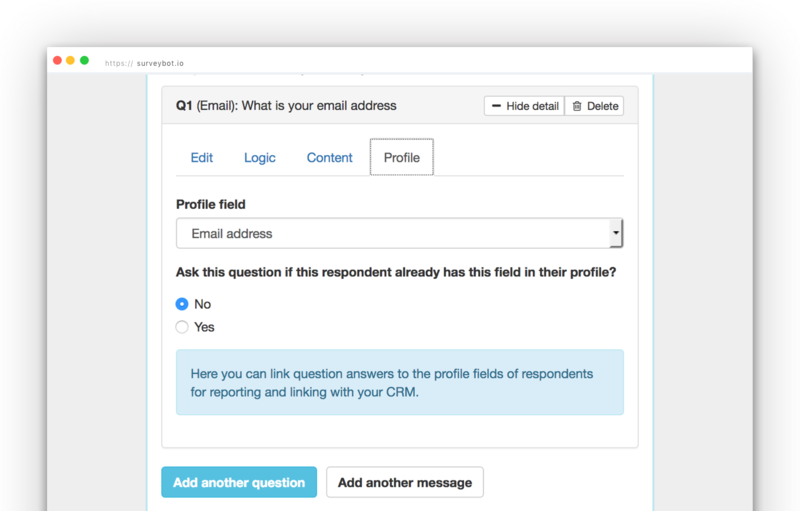 Integrate your survey response data in real time with your HR systems using Zapier, Data API or Webhooks.